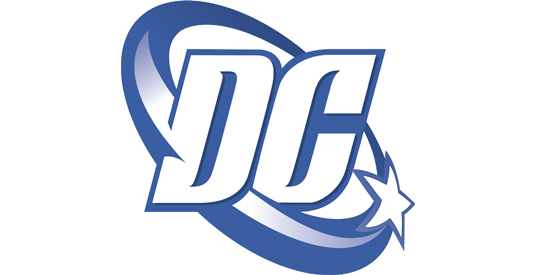 Starting August 31st, 2011, DC Comics launched a historic renumbering of the entire DC Universe line of comic books with 52 #1 issues, which brings some changes to their iconic characters. DC Comics-The New 52 was launched with a Midnight event at Midtown Comics’ Times Square store on August 31st, at which Geoff Johns and Jim Lee signed Justice League #1 and Flashpoint #5. See coverage of the event by Newsarama, CNN, and the Village Voice and Midtown Comics. Join us as we celebrate the release of JUSTICE LEAGUE #1 and FLASHPOINT #5 with Geoff Johns and Jim Lee at Midtown Comics Times Square for a Midnight Madness release extravaganza! Purchase of JUSTICE LEAGUE #1 and FLASHPOINT #5 are required to attend the signing. Customers may have up to two items signed per creator, if time allows. 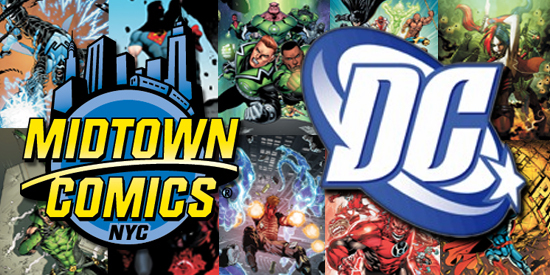 Midtown Comics DC Comics – The New 52 Deals! EXTENDED! Pre-Orders for the DC Comics – The New 52 #1’s have been EXTENDED to August 7th! Hey there Midtownies! Raph here to talk to you about some of the great things Midtown Comics is going to be doing for the NEW DCU! If you haven’t heard about it, the DC Universe is undergoing a massive, sweeping change in September, and all of the major DC series are being restarted, with new first issues! 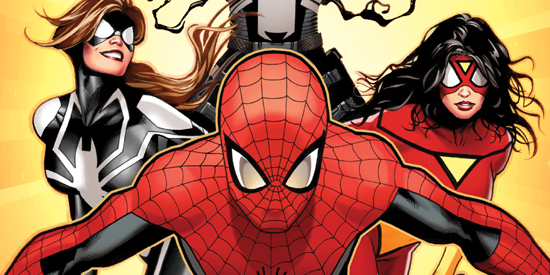 We’ve organized all the info you’ll need to bring you up to speed, starting with a fabulous Q&A from DC Comics, entitled “The New 52 and You“, in which all of the most difficult questions about the relaunch are answered. DC has also prepared a video starring Jim Lee and Dan Didio, that covers all the angles on the New 52. You can also check out my thoughts on the release. 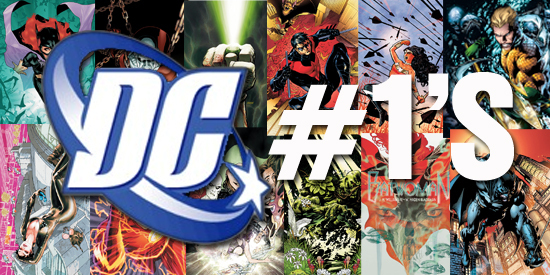 THE ENTIRE LIST OF ALL DC #1’S CAN BE FOUND BELOW. DC recently conducted their Retailer Roadshow to introduce their new 52 titles and get retailers reactions to the bold new direction of DC. As a result of these meetings we’ve got a very informative Q&A supplied by Bob Wayne, SVP of sales at DC Comics in an effort to explain the launching of the 52 titles in September. Read on!